A bright, sunny and clear morning on Islay in October 2013. 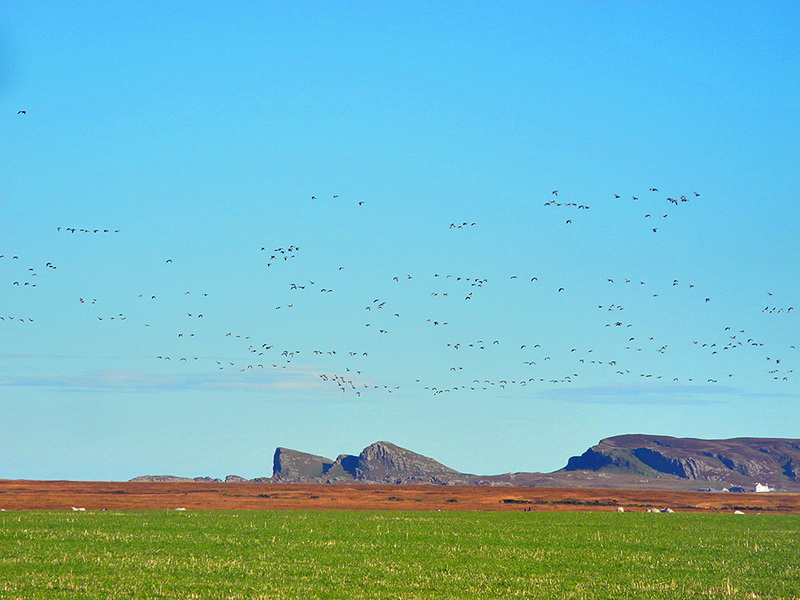 Barnacle Geese have been spooked near Kilchoman and are flying east, passing the ‘Opera House Rocks’ in this view. This entry was posted in Landscape, New Post, Sunny Weather, Wildlife and tagged Ballinaby, Barnacle Geese, Kilchoman, Opera House Rocks / Sleeping Giant, Rhinns of Islay by Armin Grewe. Bookmark the permalink.